This car seat is easy to use. I love colours what seller is offering. When we want to biy and choices now a days are huge. We stuck. But when we comes up to tjis car seat. I never feel shame about that and wouldne exchange for any other. It's easy to clean, remove covers easy, easy to install. Would be better if isofix but other than that no issues here. 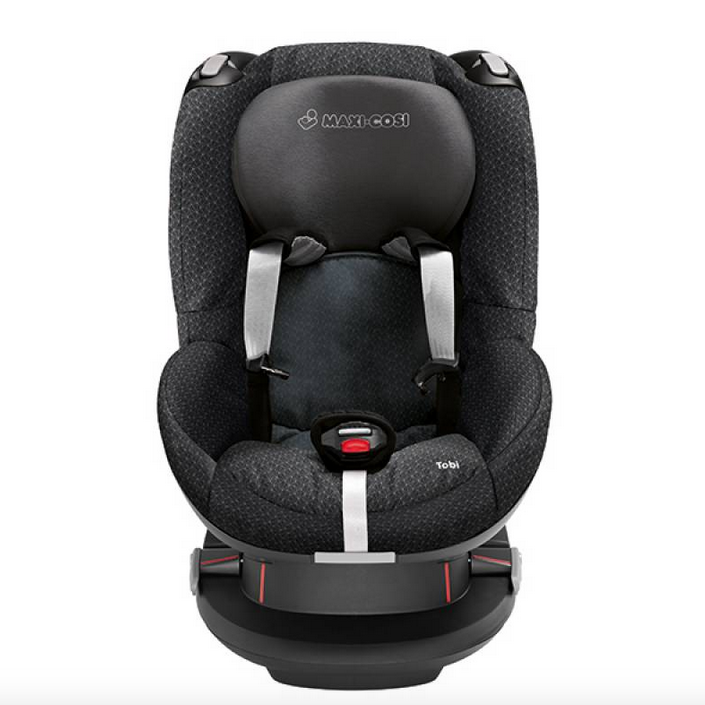 We brought the maxi cosi tobi for my son and I really liked the design and how robust it was. It was simple instructions easy to put in the car to and from as we change cars (my partners-mine) We needed something easy to change over this works. 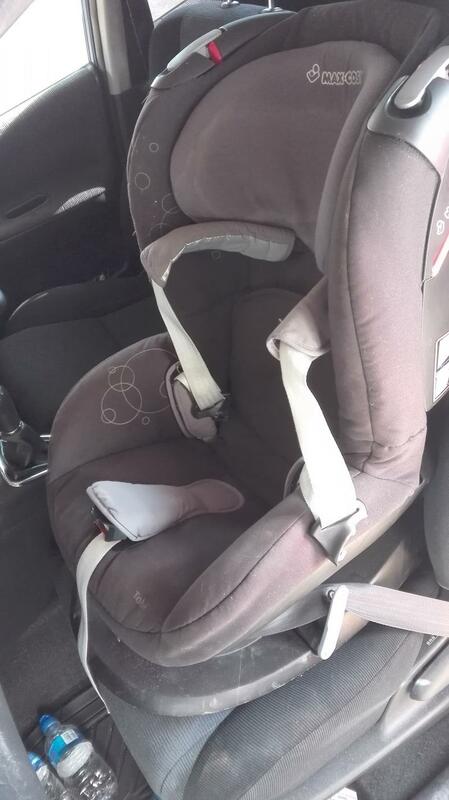 The price is good especially for a branded safety tested carseat. I’ve had 3 children and numerous car seats and can honestly say this is by far my Best Buy. 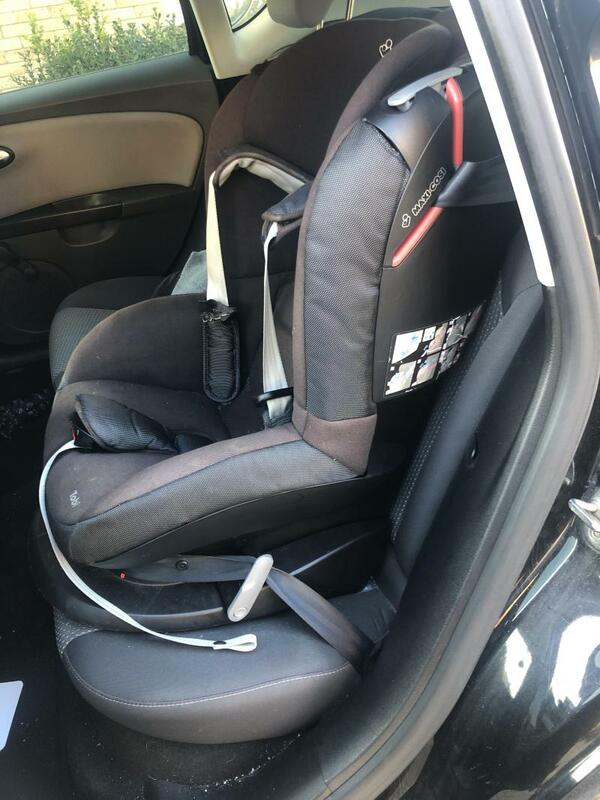 So easy to install to car and even easier to get baby in and out, the retractable straps makes it easy to get in and out in a hurry. Bonus is seat is higher sitting than others and with my girl being on the smaller side she can still see out the window with ease. Very sturdy and built to last! Decided to buy a non-isofix car seat for my toddler who was originally in the Maxi Cosi 2 way pearl. Both car seats are pretty much the same very sturdy and great recline so my little one is very comfortable. The Tobi is a bit of a pain to fit at first but once fitted its incredibly sturdy no rocking around once in place. Don't have the issue of having an isofix base which can take up room in the footwell of the car, which we did when we had the 2 way pearl and isofix base. 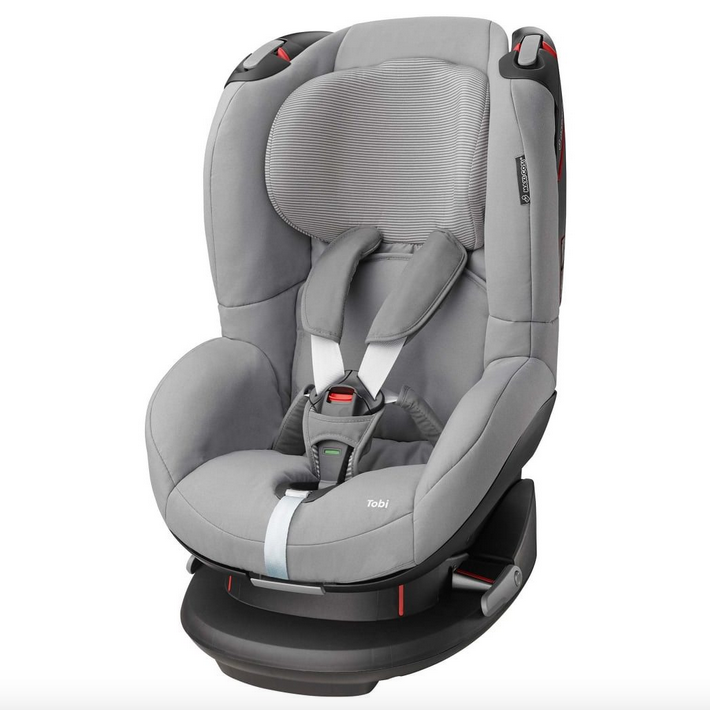 We have only up graded our toddler to this Tobi seat as we are expecting a baby in January who will use the isofix base with the maxi cosi pebble and didn't want to buy another isofix base. I have been so pleased with this car seat. It’s now being used by my second son. All the covers are easily removed for washing. The decline is fantastic for when they fall asleep. 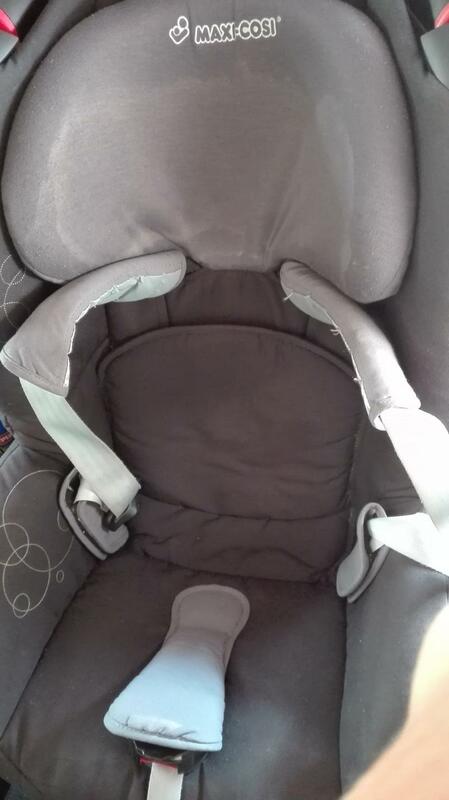 It can be a bit tricky fastening it in the car, but easy enough taking baby in and out. The head support grows with baby/toddler so it lasts years. My first son used it for 3 years before we had to buy the next stage. Overall it’s a great car seat that I would definitely recommend. I have this car seat from a month and I'm very happy from my chose. worth recommendation. Comfortable for long travelling. I’ll do my best for my baby and i want him to be safe! that’s why this product is the best! It’s easy to use, comfortable and secure! Straps can be a bit hard to tighten. This is great car seat. Very easy to install with handy picture instructions on the side of the seat. I love that the seat is high up so my little boy can see out the car window. He always looks really comfortable in the seat. The straps can be a big hard to tighten but I guess this show that they are secure. There is a handy indicator that shows when the straps are tight enough for peace of mind. The seat is a bit bulkier than others I have seen which would be an issue if you had multiple children in the car. All in all it's a great car seat and I would definitely recommend. Excellent car seat. Love the way the part of the harness where you clip it in automatically springs out to the way so you can get baby In and out easy without having to hold the buckle out of the way at the same time. Love how easy the straps are to adjust too which makes things a whole lot quicker! 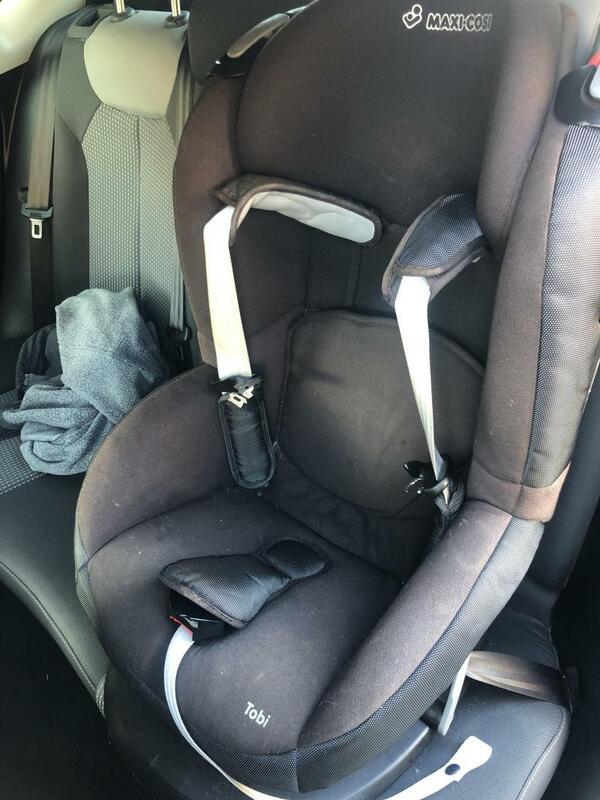 The way the seat belt goes round the seat and the clips pull up make the car seat very secure, it doesn’t move at All! Sometimes the kids head can drop even though the seat reclines. Perfect car seat. Had no problems in the year we have been using it. It is easy to wash and easy to put back together. You can buy spare seat covers easily. It has also fit in every car we have tried it in. Maxi cosi are also helpful if you need to get in contact with them. This seat was really good value for money and my daughter finds it really comfy on long journeys. We love our Tobi, and for the price it's fantastic. Comfy, with a good recline and easy to use, it's also flexible regarding fitting into different cars. My daughter kept getting her arms out of the straps so I didn’t feel it was safe. I brought this seat for my first child (now 2.5 years) after she outgrew her maxi cosi cabriofix. It was easy to put in the car and seemed really secure. I liked the design. I washed the covers in the washing machine and they came out great. And it has a really good recline function to keep baby comfy. However after a couple of months of use my daughter started taking her arms out of the straps this happened mid motorway so obviously dangerous. The way the straps are no matter how I adjusted them she could still get out. I ended up putting reigns on over the top as a temporary solution. But I’ve now brought a britax seat and the straps are positioned differently so she is much more secure. This is a good comfortable car chair for baby.The seat is well padded, and feels really robust. 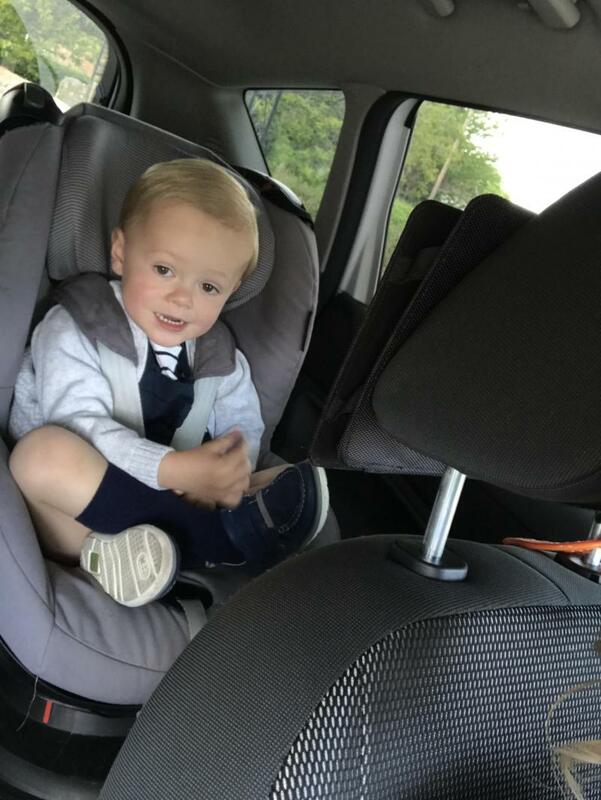 It reclines easily for in car naps and the spring loaded shoulder straps mean you don’t have to go searching for straps under your child so you can get them strapped in with minimum fuss! 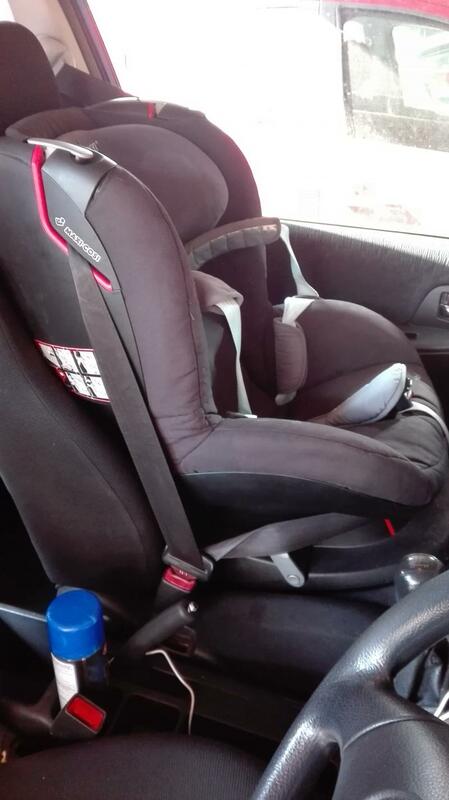 Beat car seat and i use it for the second kid already.It is high and baby can see everything through the window.Easy to use belts and kids cannot open then themselves.Just think there was a bit of lack of space for kids who already weigh 15 kgs. We love this car seat. We got it in the sale so at a really good price too. Our son has been in it since almost 9months and he's been so happy. It's nice and high so he can see out the windows and be involved in what's going on. It's fairly light and easy to move between cars, although slightly fiddly to get belted in in some cars. i love this car seat it is so comfortable and padded which makes it very safe for my child to sit in, he is so relaxed and calm sitting adorably in the maxi cosi Tobi car seat that he even falls asleep after long car journeys.Another good point is that it has a colour indicator to tell you if the harness is correctly adjusted which makes it easy to use, it is quite heavy to pick up and place into the car other than that i really like it due it being simple and easy to use also i love the design of the car seat it makes it standout,i would definitely recommend it to anyone. upholstery at the height of the head quickly discolor the color of the material. I used 2 maxi cosi tobi. first 3 years and the second one for 2 years. it is a proven and the simplest car seat on the market. 5-point seat belts and the ability to adjust the backrest level are what distinguishes it. it is quickly and easily mounted and dismounted from the car. the only disadvantage is the upholstery. when the child sleeps, he often sweats his head. this sweat changes the colour of the seat's material and it can not be worked out. it looks not aesthetically after the first nap of a child. it's the only fault I've encountered. we purchased this seat with little knowledge of car seats. I find the seat easy and quick to fit, and it seems to be comfortable. My little girl quickly falls asleep, and it can be easily changed into a reclined position. The seat is quite high, which means my daughter can see out of the window, which is great on long journeys. There is an indicator which turns green once you have tightened the harness enough, which I find sometimes moves. Overall, good value for money. 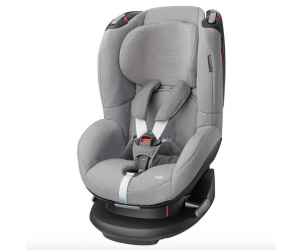 The Maxi-Cosi Tobi is a forward-facing car seat that is suitable from 9 to 18 kg (approx. 9 months until 4 years). It is ideal for curious toddlers as its extra high position gives them great visibility out of the window. When it's time for a sleep, the comfortable recline position can be accessed from the front of the seat. This car seat features 5 recline positions so children can sit upright or in a more laid back position, helping them sleep in comfort. Easy to use and install with the car's three-point seat belt, the Tobi has colour indicators to confirm the installation is correct. For optimum safety, the Tobi features Side Impact Protection. The spring loaded harness keeps the straps and buckles out of your way, so you can place your child quickly and easily into the seat. Once the harness is fastened, the colour indicator confirms your child is safe and as your child grows the headrest and harness easily adjust together so they are always positioned correctly.